I put a minimum bid on one of these (99 cents) . No on else bid. So after shipping I'm out near 14 dollars. Just did it on a whim. Will come in sometime next week. Anybody else familiar with this lens? Roeschlein seems to get mixed marks for IQ so I am quite curious to see what it is capable of. Are you sure you are getting a F4.5 lens instead of a F5.6 lens? Nice! This is a rare early one made for SLR. Interesting historical note, Mr. Roeschlein worked for Meyer and invented the Telemegor and Primoplan. Also worked for Schneider. 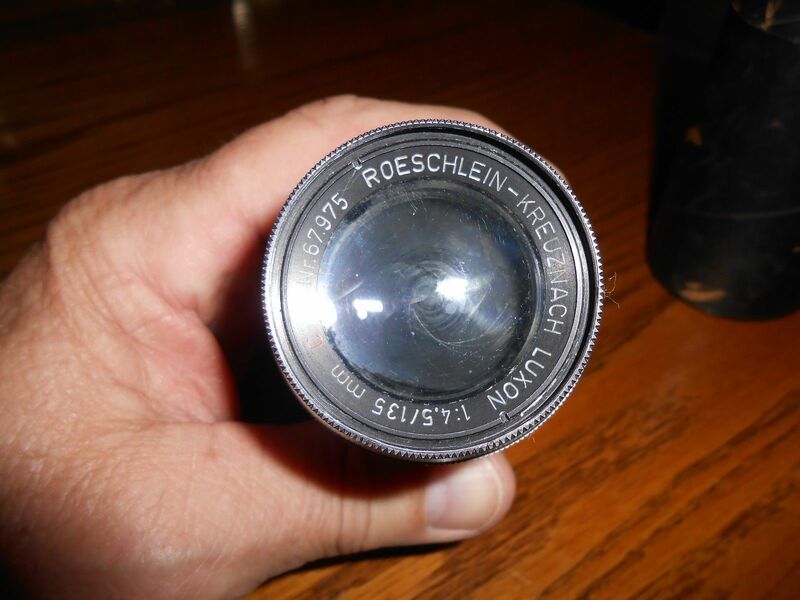 I may have a Roeschlein lens on a wrecked early Braun Paxette, in a box somewhere. The mount was unspecified but photo showed threads, so hopefully m42. My first Roeschlein! Can't wait.